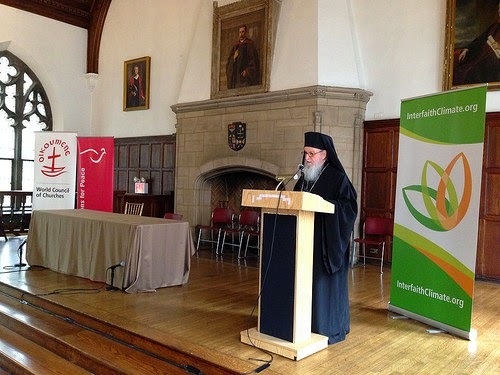 During the Interfaith Summit on Climate Change, which was organized by the United Nations in association with the World Council of Churches and Religions for Peace, and held at Union Theological Seminary in New York City from September 21-22, 2014, His Eminence Archbishop Demetrios of America presented the Patriarchal Message of His All-Holiness and signed a joint statement with other religious leaders. The Interfaith Summit held in New York served as a precursor to the Climate Summit organized by the United Nations Secretary-General Ban Ki-moon on September 23, 2014. 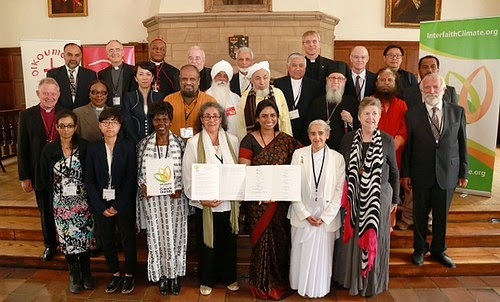 It is with great joy that we greet the international participants and congratulate the inter-religious organizers of the Interfaith Summit on Climate Change jointly organized in New York by the World Council of Churches and Religions for Peace at the invitation of and in association with the United Nations as a response to the pressing issue of climate change. Your summit is part of a global effort to mobilize action and inspire change on this compelling crisis of our time. We are especially pleased to learn that leaders representing numerous faith communities as well as diverse disciplines will be in attendance in order to assume responsibility and provide direction. In particular, your summit will assemble women and men, as well as indigenous and youth to marshal their commitment and cooperation to advocate creation care and climate justice. Recent years have fortunately been marked by a series of timely and prominent events bringing together pioneering scientists, politicians, activists and a wide range of religious and civil leaders in order to address the vital consequences and propose ways of resolving this crisis, while at the same time encouraging political will and enhancing economic resilience for a substantial global treaty on climate change. It is indeed both comforting and promising to witness so many diverse categories of people increasingly accepting the challenge and embracing the urgency of climate change. 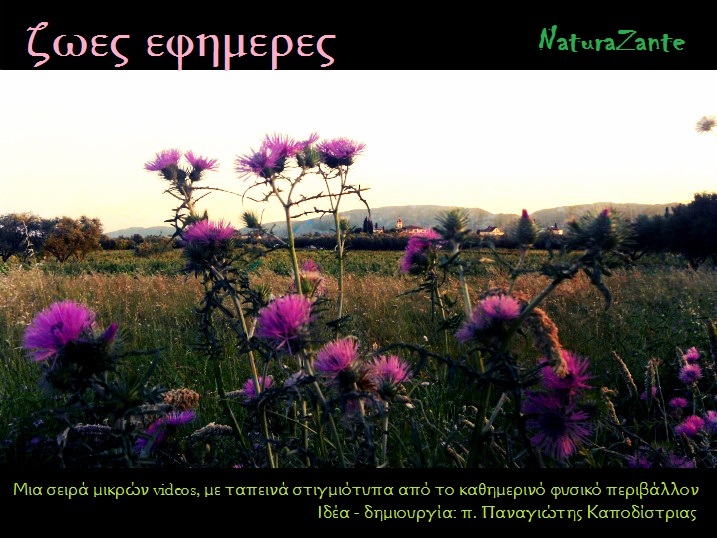 In some ways, what is imperative at this time is for people to remember and recognize the intimate and immediate connections in our world: the connection between religion and environment, between social ethics and civic action, between interfaith cooperation and climate action, and especially between ecological pollution, economic expansion, and social fairness. Ultimately, there is – as we have long believed and advocated – an inviolable and inseparable connection between the way we treat the earth, the way we relate to people, and the way we worship God. Nonetheless, if we are to respond to the ecological crisis in a responsible and substantial way, we must move beyond mere talk to practical action. If the final statement of this summit is to prove informative and influential, it must be translated more than simply for the purpose of signing by religious dignitaries; it must prove transformative of people’s lives. Each believer and each leader, each field and each discipline, each institution and each individual must be touched by the call to change our greedy ways and destructive habits. For the message here is quite clear: unless we change the way we live, then we cannot hope to avoid ecological damage. 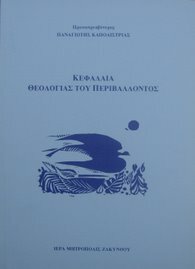 This means that – instead of solely depending on governments and experts for answers – each of us must become accountable for our slightest gesture and act in order to reverse the path that we are on, which will of course also include prevailing upon governments and leaders for the creation and application of collective policy and practice. It is our fervent prayer and wholehearted aspiration that your gathering in New York will accordingly prove successful and fruitful. May God bless the summit as well as each and every one of you.